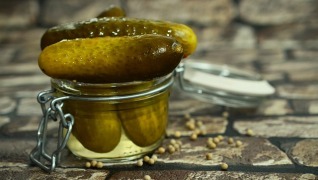 In the 1790s a French confectioner determined that if food that was sealed in glass jars was heated to a certain temperature, that the food inside of the jars was then protected against deterioration. In the 1800s, Nicolas Appert’s methods of canning food was put into practice and provided the French Navy with a better method of feeding their troops. In 1810 an Englishman took the methods that Appert had discovered and started using tin cans versus glass jars. It wasn’t until Louis Pasteur made the discovery between illness and microorganisms, and of course food spoilage, that the actual principles behind Nicolas Appert’s methods were wholly understood. The invention of the pressure canner in 1851 allowed cans to be heated to temperatures that exceeded 220 degrees Fahrenheit and allowed for further advances in food preservation and of course food safety. Through trial and error, and likely a few cases of botulism, the canning method that is preferred in homes around the world was discovered. Yes, I said it, botulism. 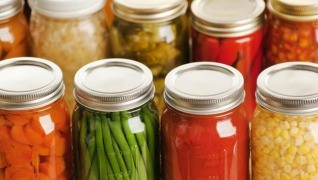 Canning is really one step beyond cooking. 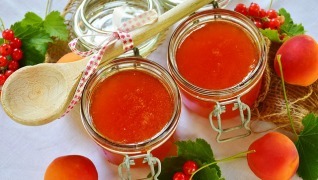 It’s a method that applies heat to food in a closed glass canning jar to stop the natural spoilage process that would typically happen, and removes the air from the jar to create a tight seal. Water Baths are ideal for fruits, jams, jellies, salsas and tomato items, pickles, vinegar and chutneys, or any high-acid food. 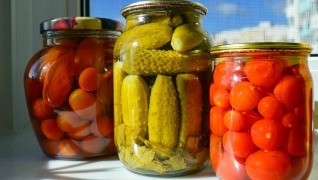 Pressure Canning is good to use when preserving meats, poultry, seafood and vegetables. You use this method to heat the food contents to 240° as to eliminate the risk of food-borne bacteria.